Company news and industry articles across the world. The first quarter of a new year is always a time to reflect on the challenges and achievements of the previous twelve months. It's not just about giving yourself a pat on the back, though, it's also a way of checking that you're on track towards new goals and bigger and better challenges. ﻿Today, I find out a little more about valued Courier Exchange member MPC Couriers and discover how the Exchange has helped this business grow. ﻿If you’re a fleet manager organising a complicated rota with multiple drivers using multiple vehicles, the new Bosch app – Perfectly Keyless – could become integral to your fleet’s day-to-day routine. Although the list of alternative fuels to choose from may seem long and a bit complicated, Liquefied Petroleum Gas might save the day with its beautifully simple viability for most van drivers or fleet couriers. 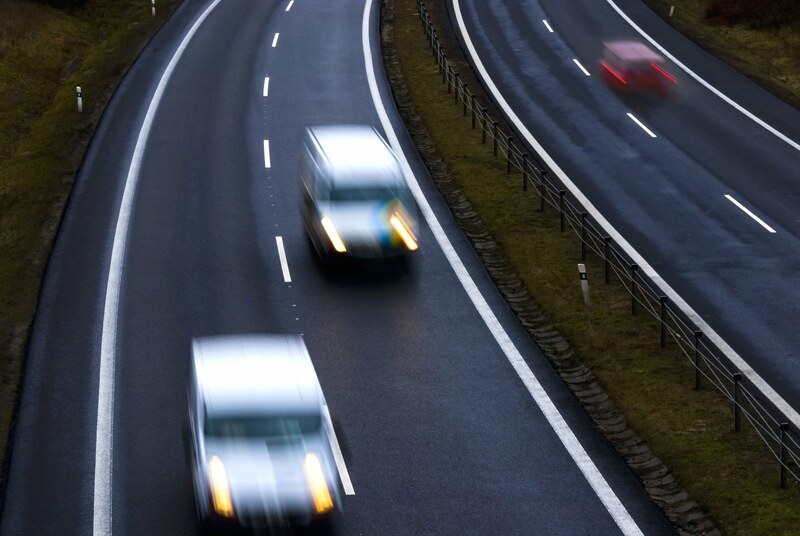 Are You Up to Speed on Driving Law Changes? With biodiesel’s popularity on the rise, it’s time for those in the logistics industry to decide whether or not it’s a plausible alternative for them, or if they’re going to remain faithful to the fossil diesel that’s been their bread and butter all these years. Back to the Future: Cutting Edge Technology or Science Fiction? Customer Service is No Joke...Or Is It? Are eBikes the Future of Courier Delivery? Steve here, wishing you a great start to 2018! And it really does seem like it's going to be a good year – not least for those of us who do courier work. There are a lot of exciting and useful innovations coming through the pipeline and for my money most (if not all) of them are worth getting excited about. Perhaps the ones worth getting most excited about are the Transport Management Systems, or TMS. And what better way to celebrate the occasion than by writing a post dedicated not to those who have been reading this blog for donkey's years (although you know I love you), but to those who may have just found us? Or maybe even relatives of my readers, who may be interested in taking up courier work as an owner driver, but are not quite sure if they are cut out for it? Who's Going to the What Van Awards? No, not really. If you were here last week, you may remember me mentioning I had asked Aunt Gertie to let me write a guest post later in the month. And, well, this is it. After today, I'm going to leave this blog to the person who actually runs it and you'll all get to have fun with Aunt Gertie once again. Before we even get started, I want to say straight away that I shan't faff about too much on the lead-up to today's subject. I know I'm guilty of doing that sometimes (I do love a natter), but today's story is just so inspirational - not to mention useful for you lot out there - that I want to get to it straight away. Make the Most of Your Delivery Work by Fitting Out Your Van! Mercedes Are Working On The Van of the Future! Bit of an odd post today, as you may have seen by the title. And before you ask – no, it's not sponsored or anything. I just wanted to talk about a specific brand of van, because I know many of you darlings like it and drive it in your day-to-day jobs. So I just know those of you who do will be ecstatic at what I have to tell you. Are Electric Vehicles Good For Courier Jobs? Well that first post of the month certainly is the gift that keeps on giving, isn't it? And to think that at first, I was reluctant to do it! But it went over really well with you lot, and not only did it inspire me to share another useful bit of information last week, it got enough of a response to warrant a follow-up. My, do I love it when I get to give people good news. That's not a question, it's a statement because, yes, I do - it really does warm the cockles of my heart! We give our member businesses complete visibility and control for their own fleets and for their subcontracted drivers through the longstanding partnerships with leading telematics specialists. We were the first to offer a completely system-neutral telematics integration platform for the logistics and road transport sectors. What’s good for us is good for you. The ever-growing demand for freight capacity has seen the Transport Exchange Group grow steadily over the last two decades. That means more drivers and more loads all round. Amrik Bains, a Coventry-based courier is celebrating having scooped a national industry award that recognises his achievements over the past twelve months. The courier from Stoke in east Coventry won the Owner Driver of the Year category at the Transport Awards 2015. It first happened in 2015 and now it’s about to happen again in 2020. The sulfur cap is about to be tightened on ferry emissions. Brace yourselves for the costs to be passed on to the road delivery industry. Transport Exchange Group has recently introduced two new features to its freight trading platform to provide greater control of multi-depot activity and improve the accuracy of available vehicle capacity published on the Exchange. The Depotlink tool enables members of Haulage Exchange and Courier Exchange that operate multiple sites to switch seamlessly between these accounts, giving a single management overview to authorised users. Meanwhile, the Vehicle Activity Management dashboard allows members to simply and effectively update the location and availability status of all mobile resources, including both company-owned and sub-contracted vehicles. Early Bird tickets for the 2015 Transport Awards are on sale from today! Transport Exchange Group has upgraded the booking chain solution for its leading freight exchanges – Haulage Exchange and Courier Exchange – to provide member businesses with an improved means of managing and updating the status of loads when they carry out work on each other’s behalf. As a result, hauliers, couriers and logistics operators using the UK’s largest and fastest growing freight trading platform are now able to better monitor the complete lifecycle of inter-company transactions by automatically sharing key details with their trading partners in order to save time and money, improve confidence levels as well as boosting operational performance. Long-standing Exchange member, Today Team Ltd has recently moved to larger premises due to fast growth. The winners took it all! The Transport Awards, now in its twelfth year, has again showcased the major success and best practise that is taking place within the freight industry at its annual awards ceremony. Organised by Transport Exchange Group, operator of the largest and fastest-growing freight exchanges within the UK, the event celebrated the greatest achievements amongst almost 3,000 courier and haulage member businesses over the past year. To give you more details on how our notification system works to alert drivers about available loads in their catchment areas, we’ve put together a short blog post describing how the system matches users with jobs. Over the years we’ve been listening to our users, and we’ve put together a checklist of important tips and ideas from our members for making sure that you use the network’s communications system in a way that keeps everyone in the loop.